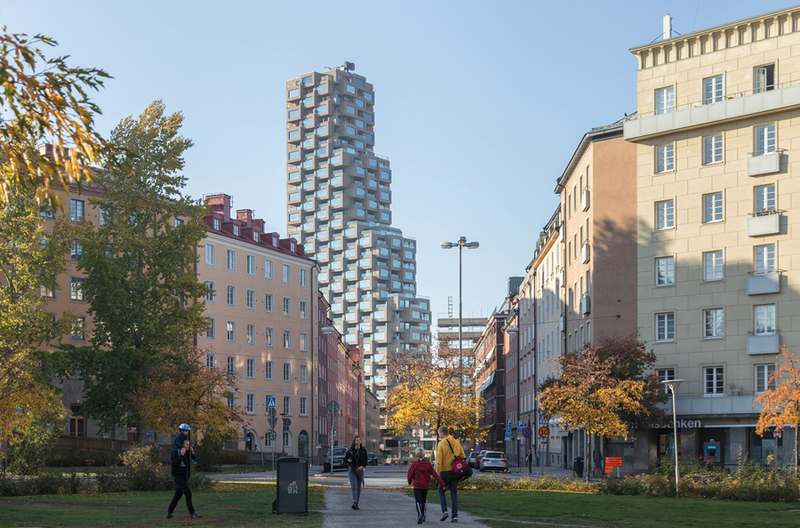 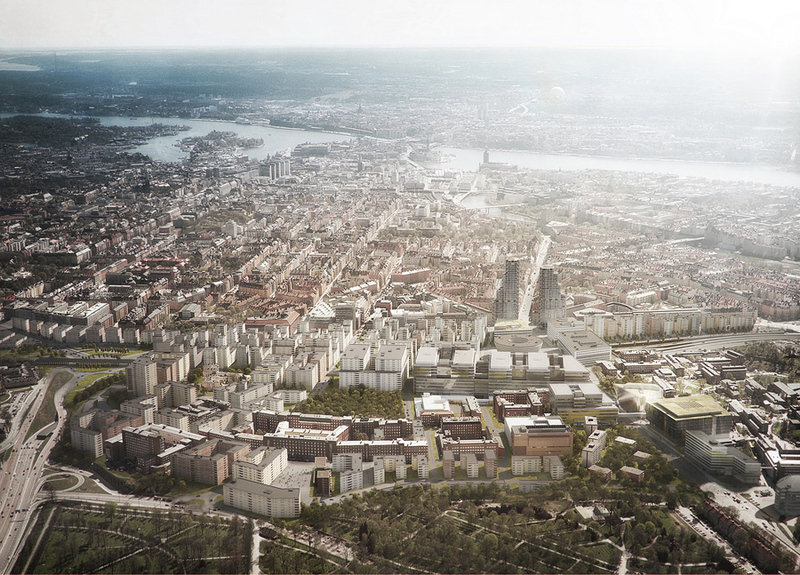 Architecture firm OMA have recently completed The Innovationen Tower, the first building of the two Norra Tornen residential towers that are located in Hagastaden, a new district in the north of Stockholm. 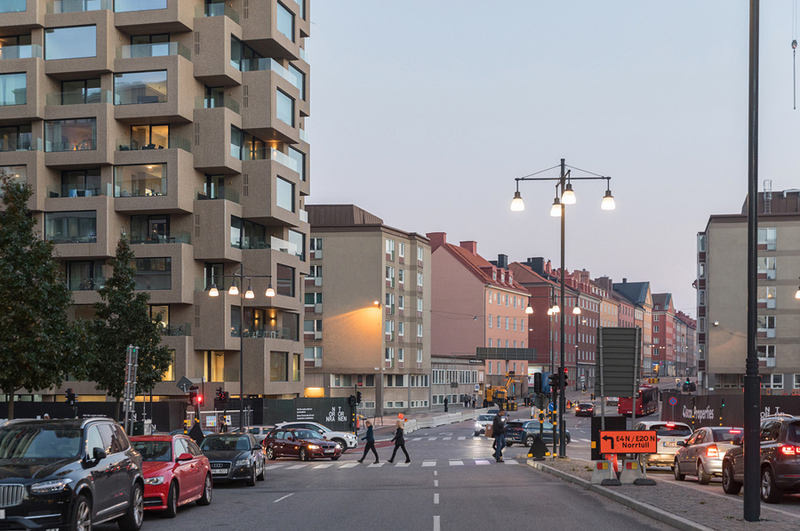 The tower, which stands at a height of 125 meters (410 feet), is the highest residential building in Stockholm’s city center, and uses a modular system of precast exposed concrete elements. 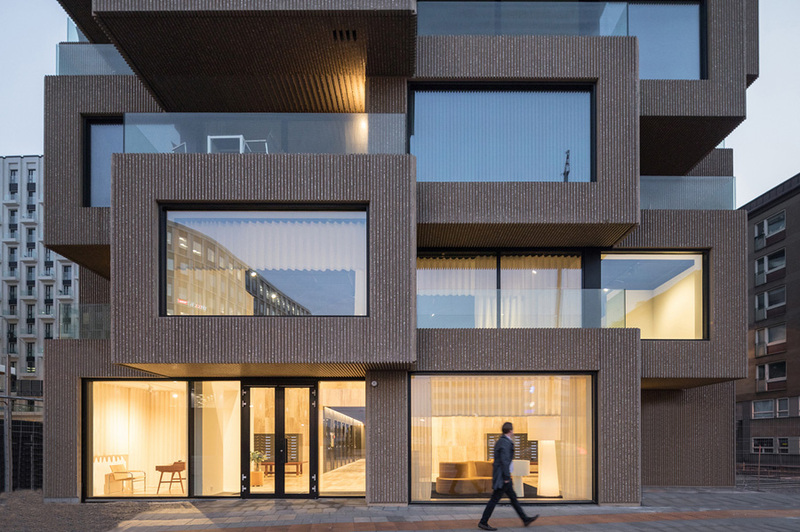 In a country with scarce daylight for half of the year, extra square meters of windows and multiple orientations for each apartment were included in the design, giving the occupants the maximum amount of daylight possible. 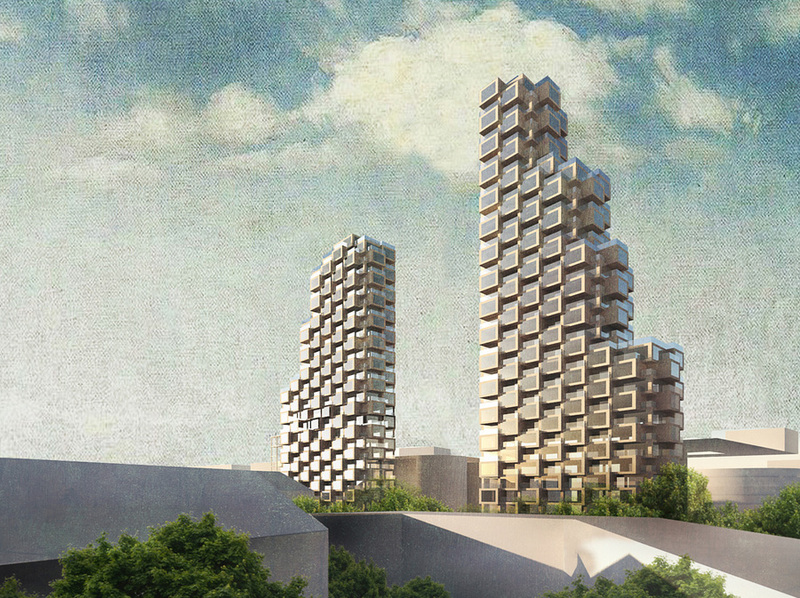 The alternating bay windows and recessed terraces in the design of the tower are a tribute to Brutalist architecture. 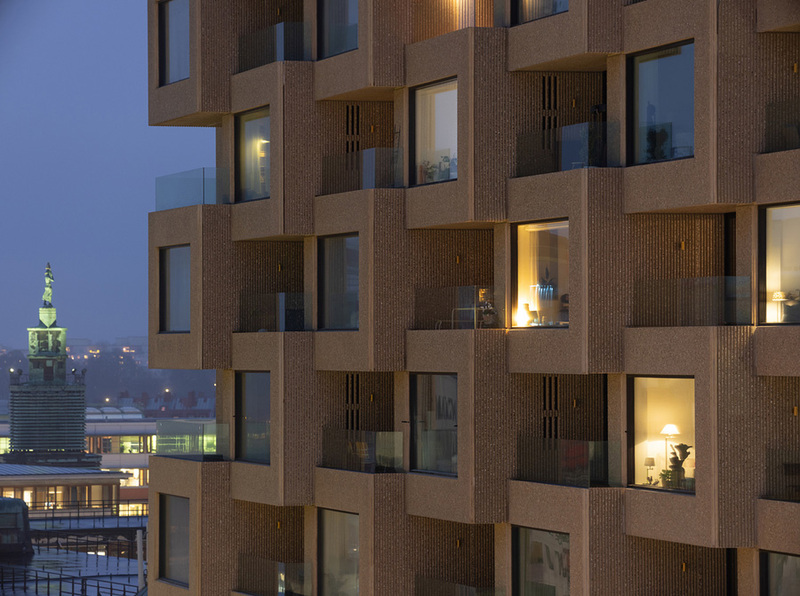 The facade of the tower is made from a colored concrete ribbed surface, brushed with an exposed multi-colored aggregate pebble mix. 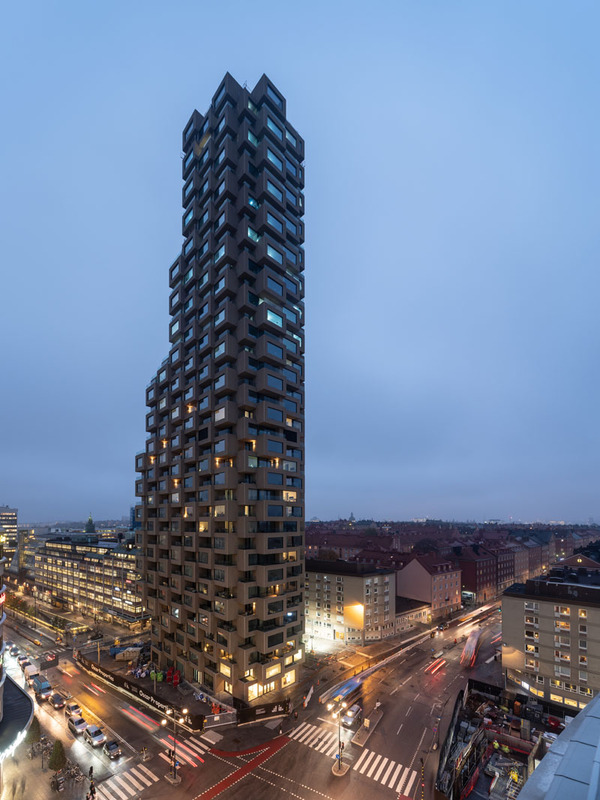 Meanwhile be sure to check other cool buildings: Top 20 Tallest Buildings in The World.